This 12x12 double sided paper has beautiful Florals & Vines on a black background on the frontside. 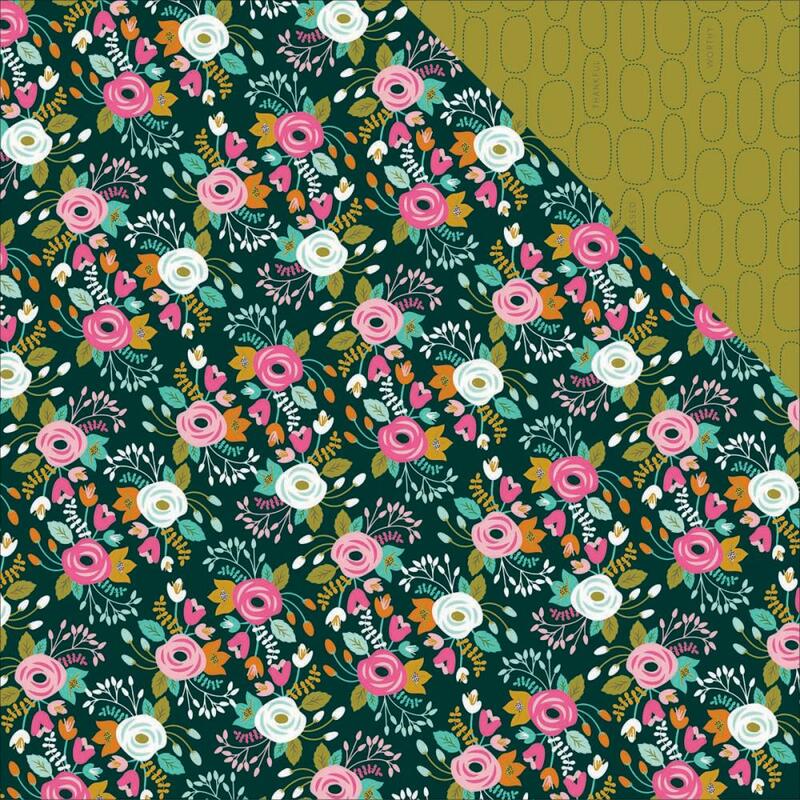 The reverse side has an Olive tone-on-tone with Oblong Dotted Shapes .Look for coordinating Die-Cuts, Washi Tape, Chipboard Pieces, Documented Tip-Ins, 6"x8" Paper Pad and coordinating 12x12 Designer Papers. Gratitude Collection by Bella Blvd / Illustrates Faith.